Well, peach my cheeks! There’s a simple way to follow BLACKPINK Jennie’s signature peachy eye look. 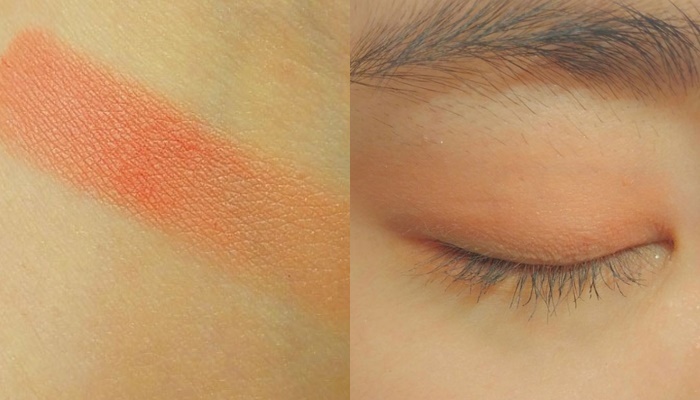 The latest Korean makeup trend that’s been popping up everywhere are these pinkish orange-ish peachy colored eye shadow looks! Some of the hottest K-Pop stars use this look in different ways to kill it on stage, photo shoots, fan meetings, and just as an everyday sort of way. Let me introduce you on who, what and how you can get this glam look for yourself. Who’s the Peachiest of them all? You can stylize your peachy eyes with dark, bold stokes. Jennie and Sulli are some of the most well known artists to love that peach-in-your-face eye shadow look. PEACHPINK in your area! I wanna wanna wanna wanna get Peach on my eyes! Not loving the popping eye color? Go soft and feminine like LOONA’s HeeJin and DIA’s Jung ChaeYeon! With a simple peachy glow, they tone it down to amplify their naturalness. Peach-shot eyes with Moonshot’s Powder Block Matte Type. There are plenty of peach colored eye shadows that will do the trick, but let me introduce you to Moonshot’s Powder Black Matte Type. (I mean… It also helps that Jennie promotes it!) I prefer using matte shadows for the natural looks like HeeJin and ChaeYeon, and Powder Block M02 Sloe Gin is that perfect color for any of your peachy looks. Get your Peachy Powder Blocks here for a ridiculously reasonable price of $10.00 USD. Don’t get peachy with me. I want legit reviews! Okay okay, just because Jennie promotes Moonshot doesn’t mean that it’s all publicity without the quality! The reviews are actually outstanding all throughout the popular Beautician review bloggers. They most notably love the fact that there are absolutely no powder dust that flies around to peach up inside of your eyes too. 😛 Here’s power blogger “Dely’s Pouch” with her actual application of the Moonshot Powder Block Matte M02 Sloe Gin.